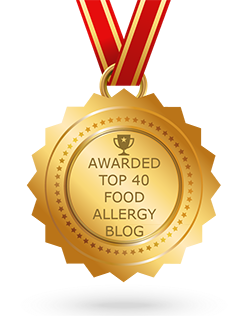 This quick review was provided by Gillian, whose daughter is allergic to dairy and egg. Our favourite character buffet breakfast on property both from a non food allergy and food allergy standpoint. We loved our breakfast experience so much here, we dropped two other breakfast reservations to revisit this place 3 times during our week stay. The restaurant atmosphere is more spacious and relaxed than some of the other character breakfast locations and the buffet selection is vast and delicious. Chefs Mace and Christian really looked after my daughter here. 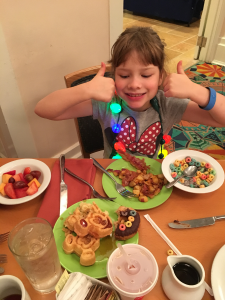 She had Mickey Waffles, bacon, sausage and smoked salmon, asparagus, sliced tomatoes, fruit loops, Erin McKenna DONUTS, fruits, hot oatmeal, chocolate and regular soy milk. What a treat! On one of the days I had concerns about the “look” of the allergy waffles. Chef Mace promptly came back to the table and addressed my concerns, taking the time to explain why they looked a bit different and how they had been safely prepared. We felt very safe letting her eat here. 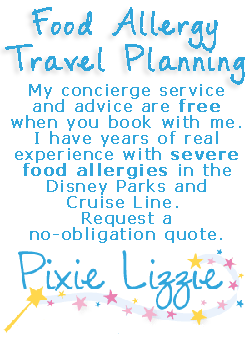 If you would like to review Cape May or any Disney restaurant, submit a food allergy dining Quick Review.